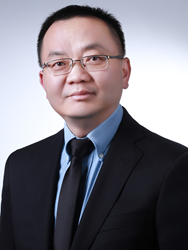 Dr. Chris Chen, CEO, WuXi Biologics (Shanghai) Co., Ltd. The International Society for Pharmaceutical Engineering (ISPE) announced Dr. Chris Chen, CEO, WuXi Biologics (Shanghai) Co., Ltd., as a newly confirmed and final keynote speaker for their 2018 Annual Meeting & Expo, taking place in Philadelphia, Pennsylvania, November 4–7. At WuXi, Dr. Chen has built a world-class open-access integrated monoclonal antibodies (mAb) discovery, development, and manufacturing platform serving a full spectrum of global companies. Under his leadership, WuXi has assembled one of the largest biologics development teams and is currently building the largest disposable-bioreactor based state-of-the-art commercial manufacturing facility totaling 30,000L bioreactor capacity in the world. In Dr. Chen’s keynote presentation, he will speak on advancements in biologics, sharing insights on how WuXi Biologics has forged new paths for the development, manufacturing, and delivery of cutting-edge therapies. The 2018 ISPE Annual Meeting & Expo delivers a broad spectrum of technical education for multiple levels of expertise. The event features six tracks that include more than 50 education sessions and five technical workshops on equipment reliability, data integrity strategy and implementation, descriptive statistics for pharma, lifecycle process validation, and site master planning. In addition, an extensive Expo will showcase more than 300 companies offering advanced technologies and services. To learn more about this event and to register, visit http://www.ISPE.org/Conferences/2018-Annual-Meeting-Expo.